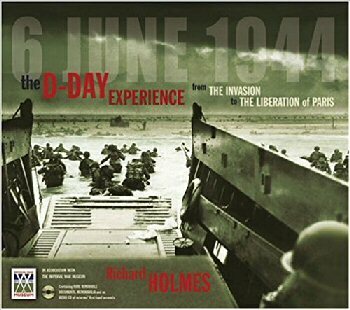 Military History Books, THE D-DAY EXPERIENCE FROM THE INVASION TO THE LIBERATION OF PARIS,Richard Holmes,Carlton Books,ISBN 978184428052, A NEW EXCALIBUR: THE DEVELOPMENT OF THE TANK 1909-1939,A. J. Smithers,Guild Publishing, WORLD WAR ONE AIRCRAFT CARRIER PIONEER,Guy Warner,Pen & Sword,ISBN 9781848842557,Jack McCleery joined the RNAS in 1916, ABRAMS SQUAD SPECIAL: MODELLING THE BTR EIGHT-WHEELED,Pere Pia Maestro,PLA Editions, U-BOAT ASSAULT ON AMERICA,Ken Brown,Seaforth Publishing,ISBN 9781473887282,US Navy and the New York Mafia. An authoritative and detailed study from the earliest concepts. 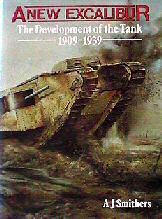 The book covers the struggles in World War I to develop the tank, its use in action, the men who created the new weapon, and those who commanded the first battles and devised the tactics. It then goes on to examine the post-war failure to develop the 'battlewinner'. Jack McCleery, born in Belfast in 1898, joined the RNAS in 1916 as a Probationary Flight Officer. During the next ten months he completed his training, gaining his wings as a Sub-Lieutenant. In July 1917 he was posted to the new aircraft carrier HMS Furious, which would be based at Scapa Flow and Rosyth. He served in this ship until February 1919, flying Short 184 seaplanes and then Sopwith 1½ Strutters, also flying other types from various shore stations. He witnessed the world’s first carrier strike mission, the 1918 Tondern raid, and took part in more than a dozen sweeps into the North Sea and reconnaissance missions off the coast of Denmark. Dedicated to the eight wheeled Russian BTR, this Abrams Squad Special looks at the history of the BTR from its early stages to the latest versions. Covers: BTR-60P, BTR-60PB, BTR-60PB Upgraded, R-145BM, BTR-70(2), BTR-80(2) and BTR-80A (2). 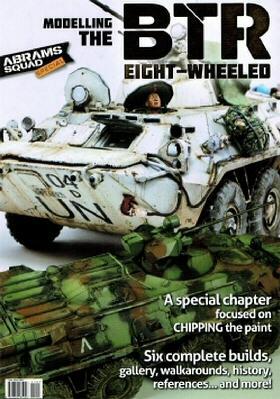 Ectensively illustrated in colour, the book includes a chapter focused on chipping the paint, plus six complete builds. These feature galleries, walkarounds, history, references and much more. 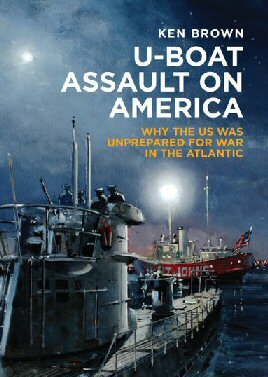 An account of the phase of the battle of the Atlantic when U-boats attacked both merchant and US naval vessels along the American East Coat with impunity and inflicted massive losses. With tankers burning and petrol rationing in New York City, the US Navy seemed powerless to stop the marauding U-boats. This new book seeks to explain how America responded to these assaults and looks at the steps that the Navy took to train the men, harness the scientists and make the organisational changes needed to defeat the German threat. As well as looking at the ships and men who fought the battles, the author explains the significance of the port of New York, its vulnerability to sabotage, and the relationship between the US Navy and the New York Mafia.